Jon and Tina are so grateful that God led them to Armed Forces Baptist Missions, and that He has used the help and training of AFBM to assist them in planting Freedom Baptist Church. God began developing a burden in Jon and Tina’s hearts for military missions nearly ten years ago when Tina’s younger brother Rick, who was serving as a US Marine in Iraq, was killed in action. Jon and Tina were moved by Rick’s sacrifice to give themselves as a “living sacrifice” (Rom. 12:1) to God to reach with the Gospel those heroes who put their lives on the line for us. Jon and Tina’s great desire is for those who serve our country to come to know Jesus Christ before it is too late and to be discipled and grow in the Word of the Lord. 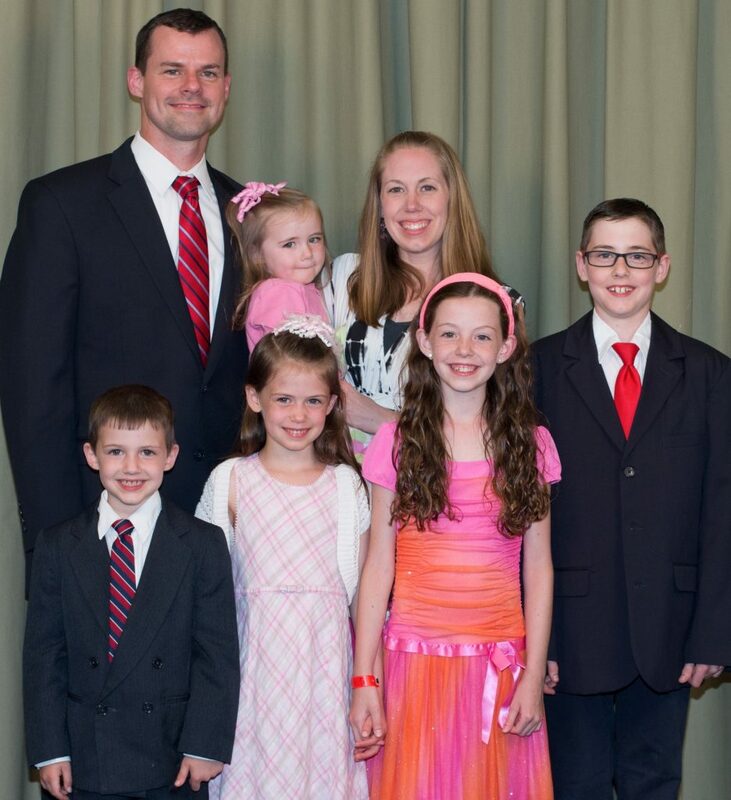 Jon and Tina moved to New Jersey in 2013 and began Freedom Baptist Church outside of Fort Dix. Jon preaches, disciples, and goes out soul winning regularly as the pastor of Freedom Baptist Church. Tina handles the office and paper work as well as the church nursery. She homeschools their four oldest children, Caleb, Anna, Abigail, and Ethan, with little Grace as her helper. Jon was raised in a Christian home and was taught the Scriptures and mentored in ministry by his father, who is Jon and Tina’s sending pastor for the Freedom Baptist Church plant. Jon’s father was also the one who was able to lead Jon to trust in Christ at young age. Jon was called to preach after graduating high school. He completed Bible college and seminary training as well as a two-year pastoral internship. He traveled for three summers in evangelism before becoming an assistant pastor under his father. He was blessed to gain hands-on ministry experience as an assistant pastor for four years prior to moving to NJ. Recognizing Jon’s calling and confident in his qualifications, Jon’s father’s church has now sent him out as a church planting missionary to the military stationed at Joint Base McGuire-Dix-Lakehurst. Tina was also raised in a Christian home and accepted Christ at a young age. Jon and Tina were married in 2003 after meeting in Bible college. Tina loves to serve the Lord alongside her husband and loves that their whole family can serve the Lord together. God calls AFBM missionaries to serve in unique ways around the globe. Maybe He is calling you to have a special role in the Gorman’s ministry to our heroes. Please pray about partnering with them through prayer and/or financial support. Contact the Gormans for more information and to sign up for prayer letters.